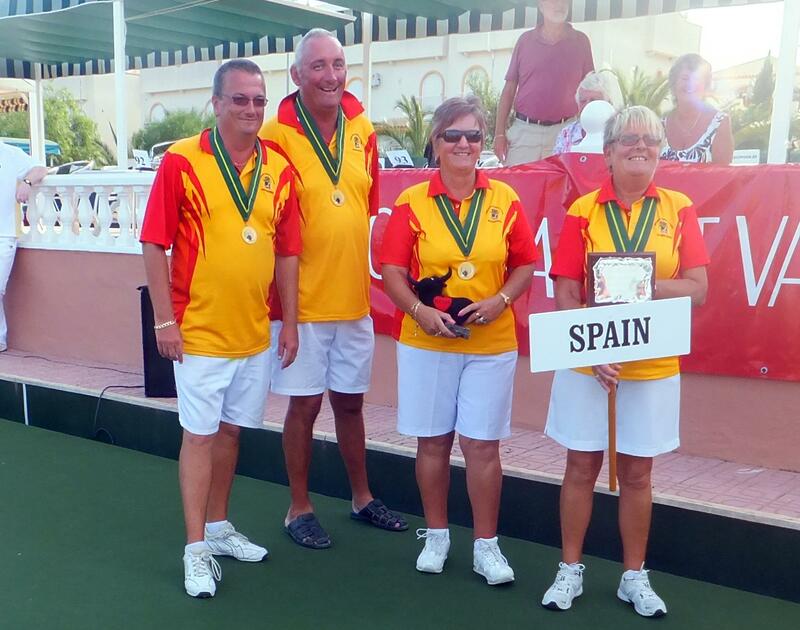 A magnificent haul of one gold and two bronze medals, were just rewards for Team Spain in the recent European Team Bowls Championships. 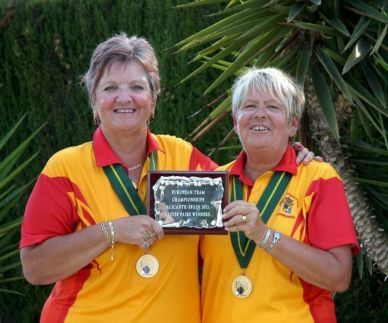 Lynn Greenland and Jan Dando led the way with a gold medal in the ladies pairs category, as England and Jersey took silver and bronze respectively. 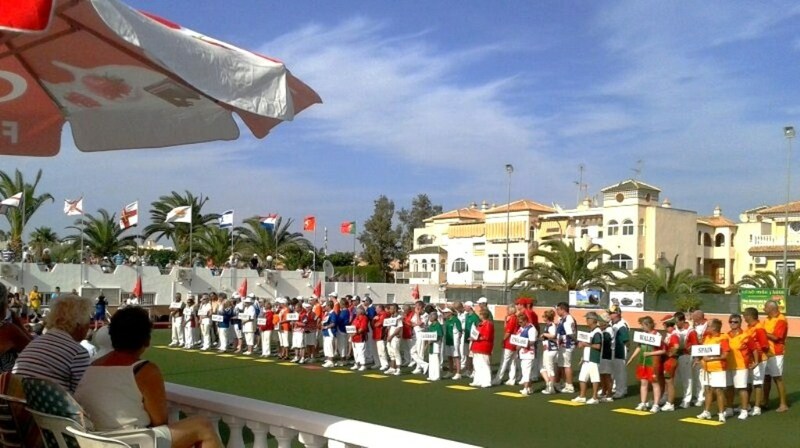 England took gold, Scotland silver, whilst the Spanish mixed fours team of Pete Bonsor, Graham Cathcart, plus Lynn and Jan earned a bronze, courtesy of a second set victory over Jersey on the final days play. In the mens pairs, it was Scotland, Wales then Ireland who entered the podium, with Pete and Graham finishing a creditable 7th. These results ensured that the overall team table saw Spain finish 3rd, behind champions England and Scotland, deservedly earning themselves another bronze medal. During the championships, it was announced that John Muldoon, director of lawn bowls in Spain, had been elected to the Junior Vice President post of European Bowls Union. 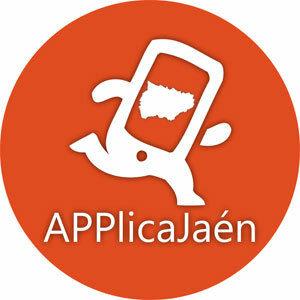 This means that in 4 years time, John will be President, which will possibly see a return of the championships to Spain. He was delighted with the outcome of the 2013 European team championships, in which Team Spain’s results were better than one could have hoped for. Thanks were given to the management of Pat Metcalfe, Derek Toozer and Fred Roberts, and also to the organising committee of Bob Donnelly, Deidre Leeming and Jackie Breslin, who have supported him in the running of this event. 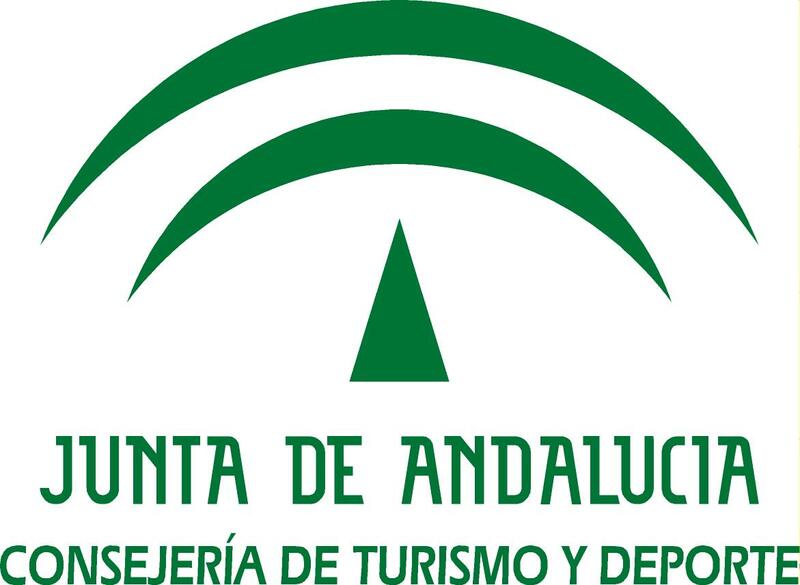 Finally, he expressed gratitude to both Emerald Isle and San Miguel bowls club for all their hard work (especially Mel O’Dell and Brian Allen), which had gone towards making this such a successful tournament, and to the grassroots bowlers of Spain for their valued support at the championships. On behalf of Emerald Isles, President Geoff Farrington gave a large vote of thanks to the committee and other helpers, the bar and catering staff, plus maintenance man Marcos, who kept the green in pristine condition. He also thanked both players and umpires, for the excellent entertainment provided over the week, and hoped that his club would be given the opportunity to host this competition again in the future. Spokesman for San Miguel, Brian Allen, expressed what a tremendous experience it was to have all the different countries playing on their green, and went on to thank all their members who gave up their valuable time in getting the club ready to hold the championships. Brian also acknowledged how hard the staff of Cheers bar had worked throughout the tournament. At the start of the tournament, it was stated that these were to be known as the friendly games, and although the competition was fierce, the matches were conducted in a very fair and amiable manner. Whilst some of the better known teams from UK, Channel Islands, and of course Spain, were competing hard for honours, many lesser known nations in the bowling world were on view. I spoke to Mirko Limmer from Beerwalde, East Germany, who told me that his country has only 20 members. Although this is the 9th European championships, it was only the 3rd time for Germany, who are based at the country’s sole club, Su Lobichau. 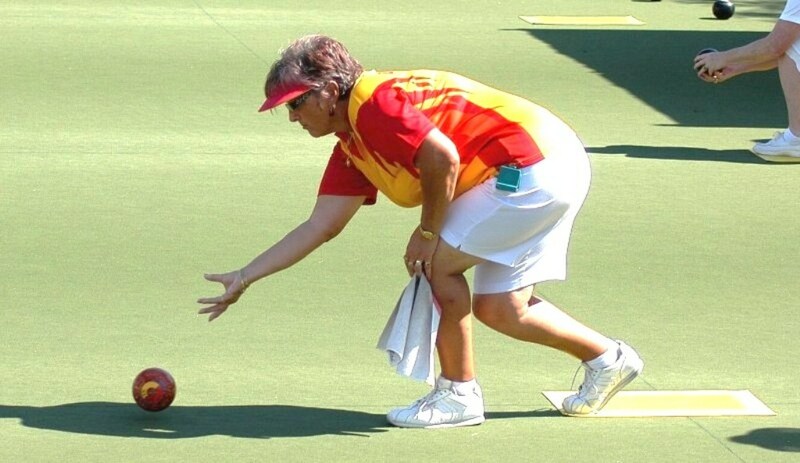 Spare a thought for the tournaments basement club Turkey, for their members have to travel over 6 hours to reach the nearest green, allegedly practicing on half a football pitch, and learnt to bowl using the internet. Having said that, their ladies certainly got my vote for being the smartest, and fittest, team in the competition! Then there’s the Isle of Man, who like Germany, only have 1 green, and are void of local competition, plus Switzerland who use a curling rink, which is drained to play bowls in the summer. So, the next time we have a moan about the occasional run (or 2!) in a green, let’s count our lucky stars that we are considerably better off than some of our European cousins.